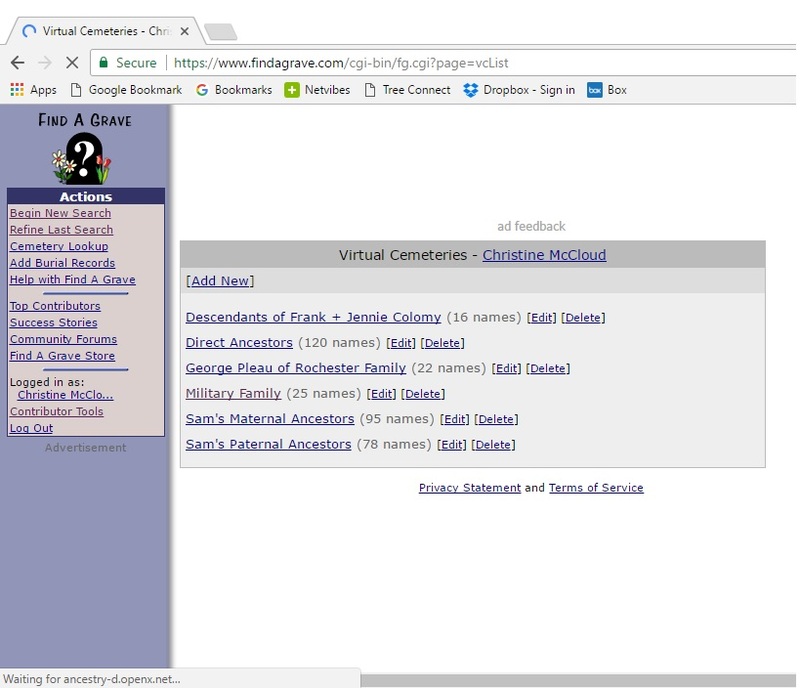 I’ve come to the point where I’ve blogged about all my direct ancestors for whom I have solid (and sometimes semi-solid) information, including quite a few collateral relatives. Right now, I feel the need to slow down a bit on the blogging. If I have more time for research, I’m sure I will come up with material for future stories. In fact, one of my ideas is “u-turn” posts where I would return to discuss new discoveries (already there have been a few). 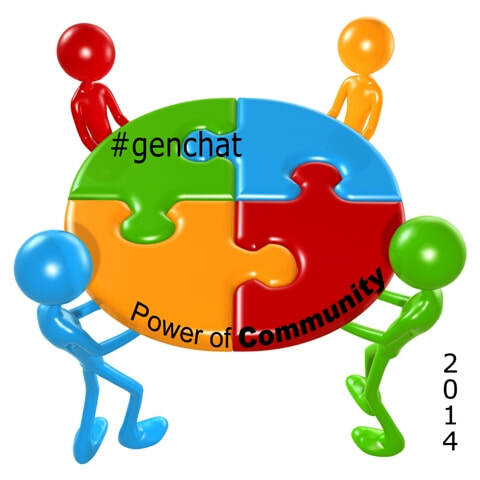 I may also share some cool things learned during #genchat. Maybe I can get some inspiration from various blog prompts, too. These are just a few ideas. Bottom line, I’m not going anywhere, just slowing down a bit. Stay tuned! On Memorial Day, I tweeted a link to a virtual cemetery I created on Find-a-Grave to honor my military family members. Twitter friend Melanie McComb of The Shamrock Genealogist asked how I did this and I answered over the course of a few tweets. Then I realized that this would make a really good blog post. After all, others may want to create virtual cemeteries as well! 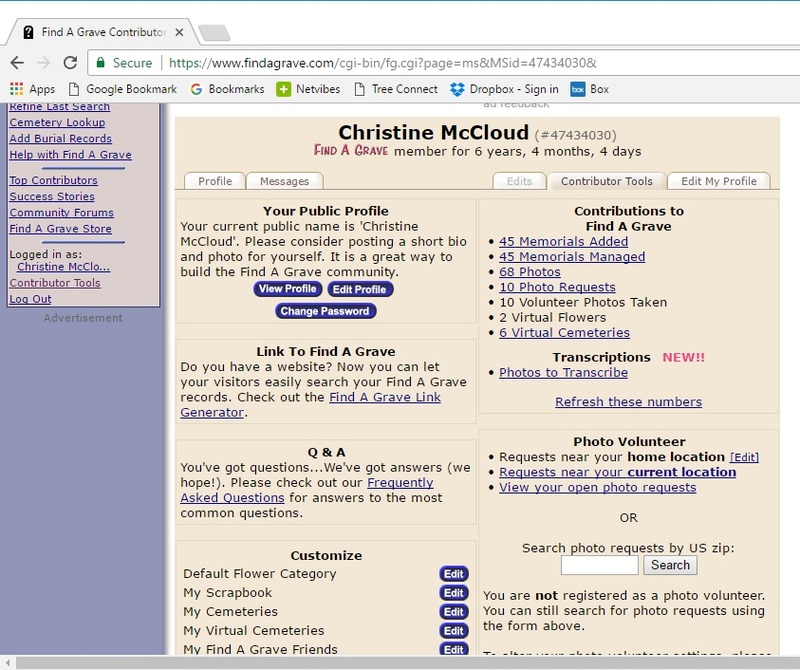 A virtual cemetery is simply a collection of Find-a-Grave memorials that you put together. 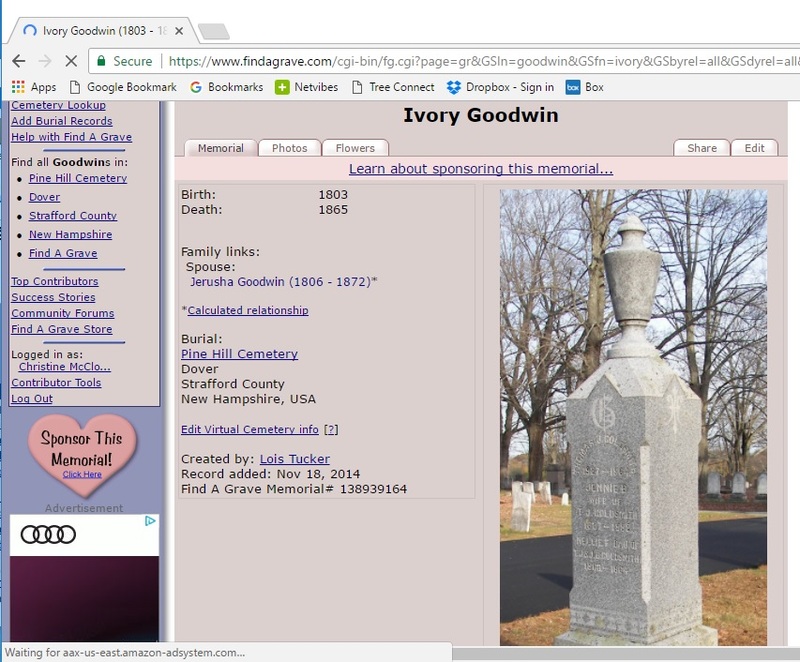 It can be any theme you want (not just genealogy) and can include any memorials that are anywhere on Find-a-Grave. 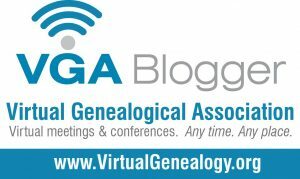 Some of my virtual cemeteries include: Direct Ancestors, Descendants of George & Emma Pleau, and Military Family. 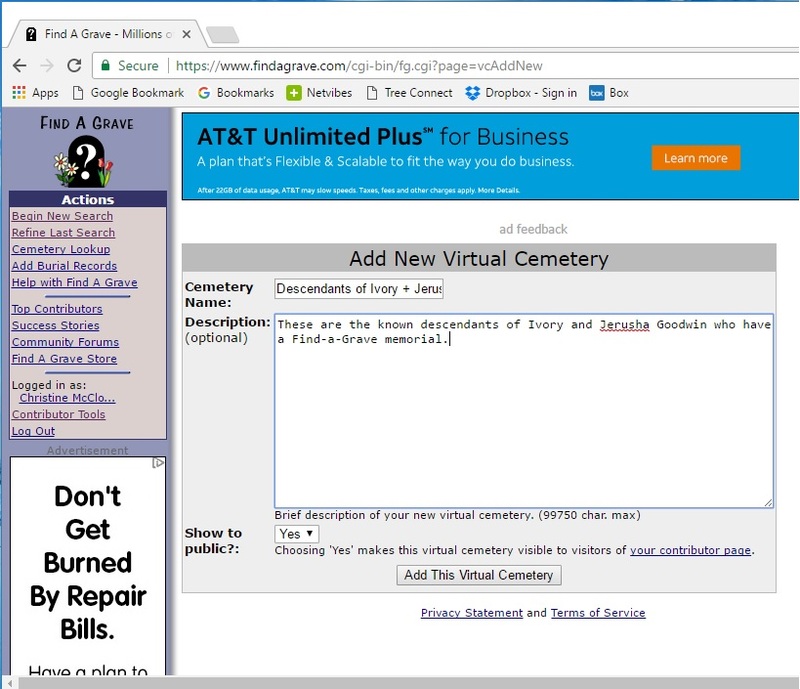 All you need to create a virtual cemetery is a Find-a-Grave login. If you don’t have one, click here and follow the instructions on the screen. Click on the “Add New” link in the upper left of the screen. Give your cemetery a name and, if you want, a description. You can also choose to make this public or not (the default is public). 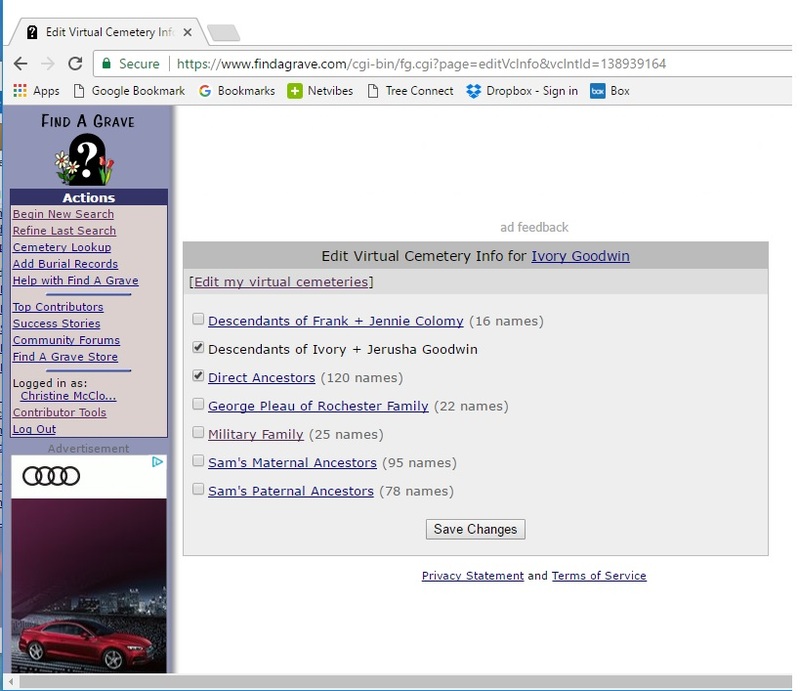 Then click on the “Add This Virtual Cemetery” button on the bottom. Now the fun begins – adding the memorials! Go to a memorial you want to add to your cemetery. On the lower left side of the memorial, you’ll see a link that says “Edit Virtual Cemetery info”. Put a checkmark in the box of the virtual cemetery you want, click the “Save Changes” button, and you’re ready to add another memorial! To log out of Find-a-Grave, just click on the “Log Out” link at the bottom of the actions column on the left. Here is a link to the cemetery we’ve created today. I hope you enjoy creating your own virtual cemeteries! Andre, born around the time of his parents’ marriage. Edouard, born March 18, 1807; died January 7, 1808. Edouard, who I’ve written about here. Emmelie, born circa April 1825. Joseph and his family lived in Trois Rivieres as early as 1825. I found two occupations for Joseph: one, a “navigateur” (which I believe is some kind of traveller), and the other (in the 1851 Census) is “Pilot Branche”. I have no idea what this is, but the handwriting is impeccable, so I don’t think it’s misspelled. Joseph died on January 16, 1857 and was buried at the Cathedrale de l’Assomption. Louis-Joseph Pleau dit LaFleur was born March 30, 1755 in Les Ecureuils, Quebec. (In case you’re wondering about the “dit” in his name, it’s like an alias and is quite common in early Quebec. The Maple Stars and Stripes Podcast covers dit names.) He married Marie-Madleine Chaille dit Maturin on January 10, 1780 in Cap-Sante, Quebec. His father was also named Louis-Joseph Pleau dit LaFleur. This Louis-Joseph was born circa 1726 in Neuville, Quebec. He married Marie-Francois Gueret dit Latulippe and Marie-Madeline Lefebvre (mother of the younger Louis-Joseph). Francois-Ignace Pleau was born January 15, 1697 in Neuville. He married Marie-Madeleine Gaudin on February 4, 1722 in Neuville. He later died January 1759 in Les Ecureuils. 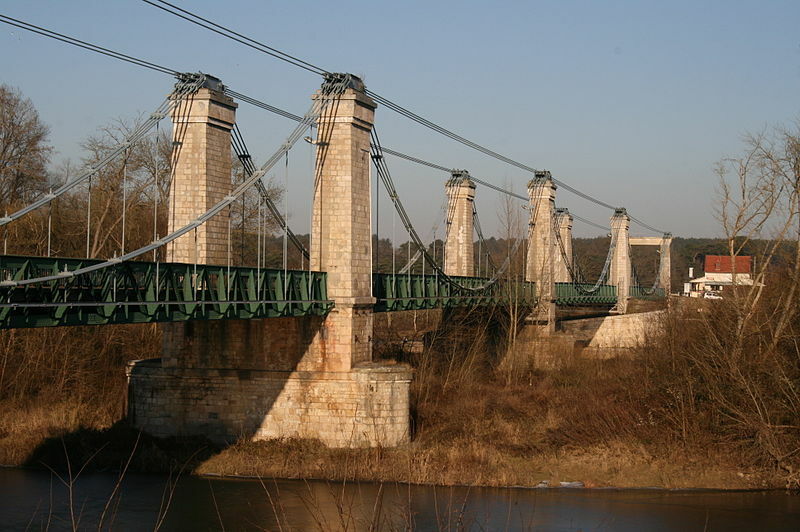 Pont de Châtillon-sur-Loire (bridge). The Loire River is the original Beautiful Water! Courtesy Wikimedia Commons. The immigrant Pleau was Simon Pleau dit LaFleur, born circa 1641 in Chatillon-sur-Loire, France. He married Jeanne Constantineau on November 28, 1680 in Neuville. (As far as I know, she is not a Fille de Roi.) Simon died October 7, 1711 in Neuville. Simon’s father is said to be Etienne Pleau, born circa 1615. He married Martine Audebert in Notre Dame de Chatillon-sur-Loire, France. Obviously, there is much more to be learned about this family!